Kate's Sister, Pippa Middleton, Gets Engaged! - What Would Kate Do? Kate’s Sister, Pippa Middleton, Gets Engaged! There have been rumours that Kate’s younger sister, Pippa, has gotten engaged dozens of times over the last few years. As the sister to the future Queen of England, Pippa was often ranked as Britain’s most eligible bachlorette and the media loved speculating on when Pippa would walk down the aisle. After an appearance yesterday at an event for the British Heart Foundation, speculation again ran rampant as Pippa posed with her left hand seemingly strategically behind her back. 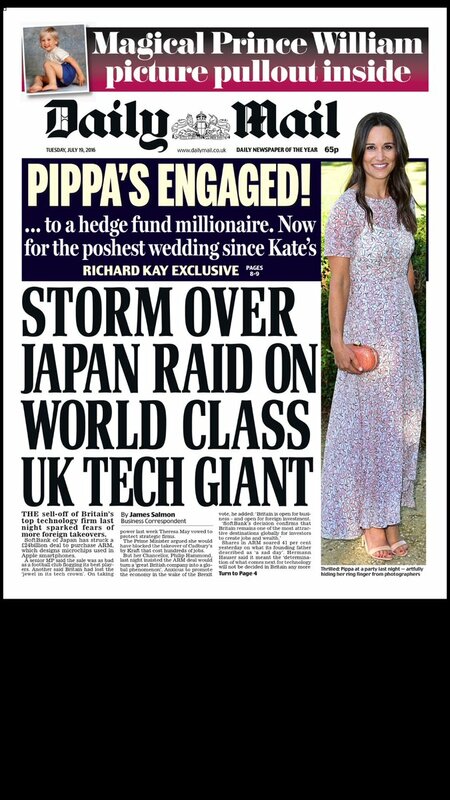 This morning, we all got the confirmation we were waiting for – Pippa being engaged was the cover story on the Daily Mail. Heads down against the breeze that blows across the peaks of the Lake District on the sunniest of days, the couple had their eyes on a distant hill. Like other weekend walkers out on the fells last Saturday, Pippa Middleton and her boyfriend James Matthews paused to enjoy the magnificent views from the summit and to catch their breath. But as Pippa took in the scenery, her romantic beau was dropping to his knees and preparing an even more spectacular sight – drawing out a stunning diamond ring from deep within a pocket. Kneeling before her James asked Pippa to marry him. And within a moment she said ‘yes’ and suddenly Britain’s most eligible young woman was off the market. Kate and William are said to be thrilled for the happy couple. We fully expect that Pippa will include her sister in her wedding party. William and Harry were both pageboys and Beatrice and Eugenie flower girls in other “non-royal” weddings. Seeing how close the two sisters are, Kate will likely also play a huge part in the planning for the wedding, probably to be held next year. Pippa will also move into Matthews’ new £17 million townhouse which boasts a basement cinema and an underground car-stacking garage. The couple recently held a housewarming party at the home, so Pippa surely had a hand in selecting the abode – and decor! The pictures of the couple from Wimbledon this year truly show a happy pair, don’t they? For those curious, Pippa is wearing the LK Bennett Karo dress in pink (Kate reportedly wore the same dress in blue for the SAS event this past weekend) in the BHF event photo above. She already has moved in with James quite a while ago. Ridiculous and shameful situation. The ring, the title of lady Glen…… bought with the land, by her future father in law. …….